1. Mixed A in a bowl. 2. Mix eggs with A. 3. Heat the pan with olive oil until medium temperature. 4. 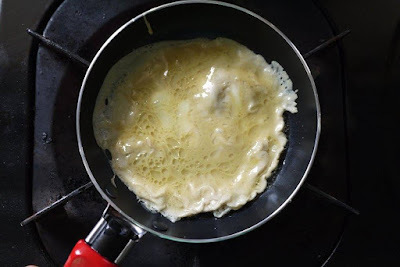 Pour ¼ of the mixture into the hot pan to cover the bottom of the pan evenly. 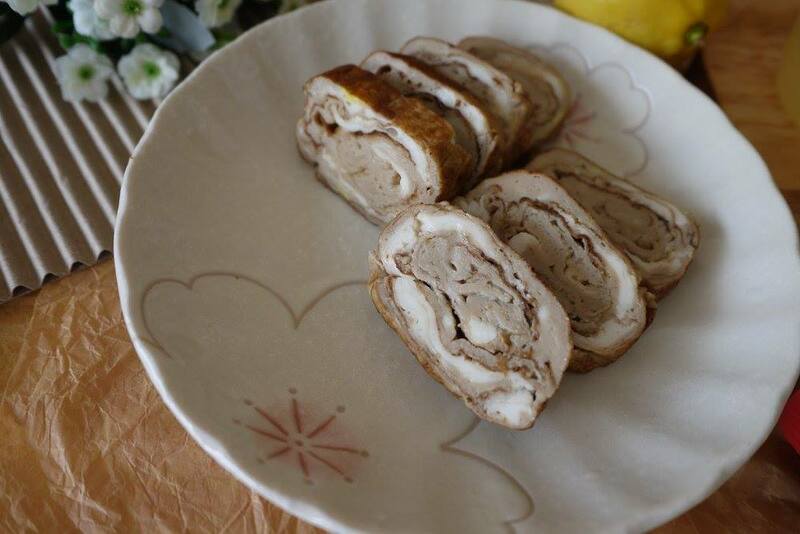 After the thin egg has set a little, gently roll into a log. Start to roll when the bottom of the egg has set and there is still liquid on top. 5. Now you have a log at one end of the pan, pour some more egg mixture to again cover the bottom of the pan, with the roll of egg at the end. After the new layer has set, roll the log back onto the the cooked thin egg and roll to the other end of the pan. 6. Repeat adding egg to the pan and rolling back and forth until the egg is used up. 7. 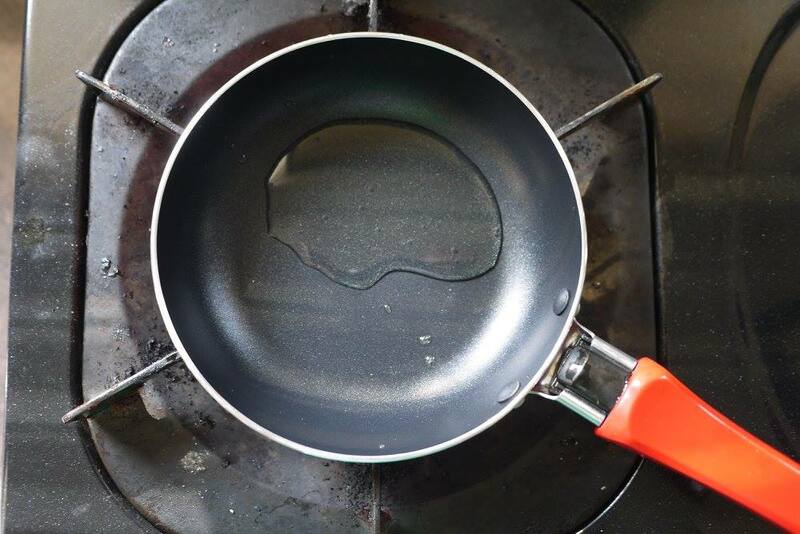 Remove from the pan and cool for a few minutes. 8. Slice the ends of the log off and then slice the log into 1/2" pieces. Tada! 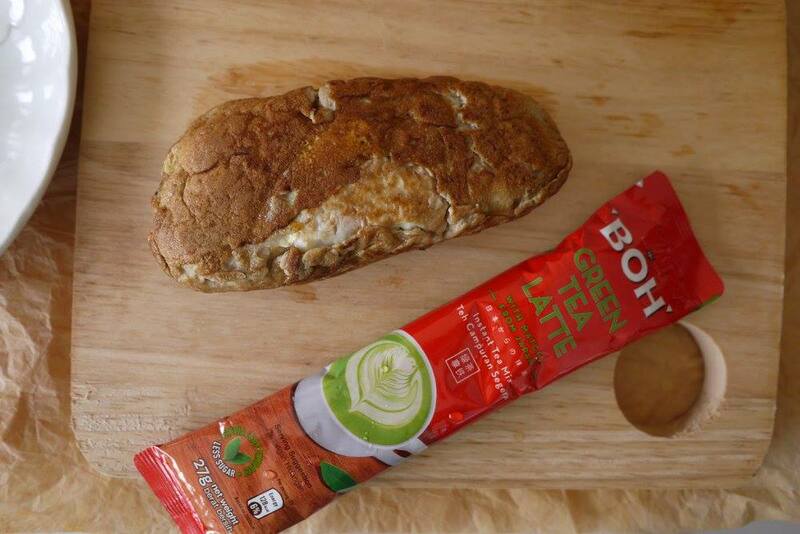 A BOH Green Tea Latte Egg Roll is ready for the breakfast! It’s not only pretty with its spiral pattern, it tastes delicious too! 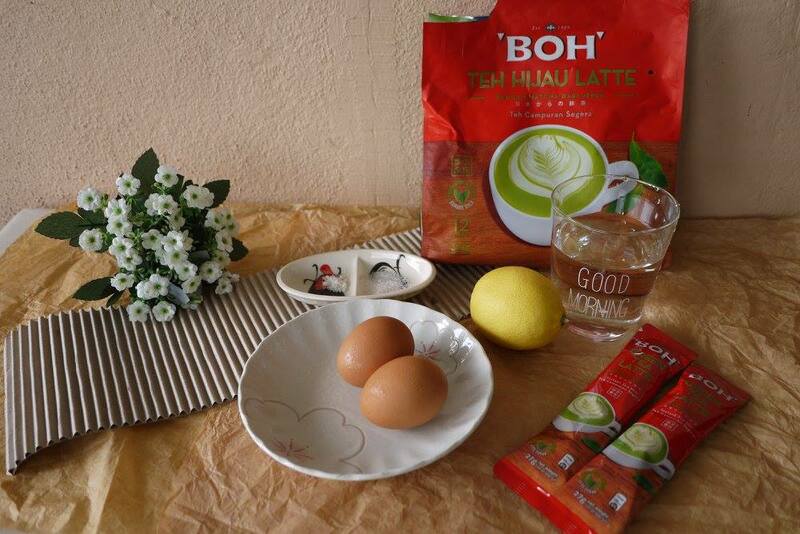 Ingredients: 1 sachet of BOH Green Tea Latte, 200ml water, ½ pc lemon. This is super easy and fast to prepare. 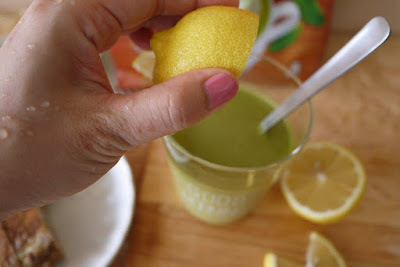 Just squeeze the lemon for juice and stir well with other ingredients. 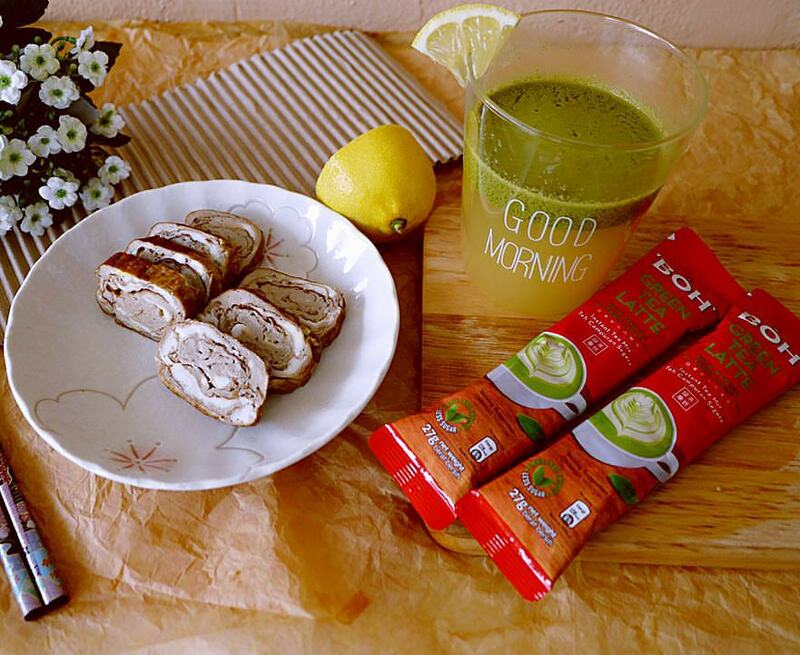 A glass of high in Vitamin C, with the benefits of whitening and anti-oxidant drink is now ready to be consumed. 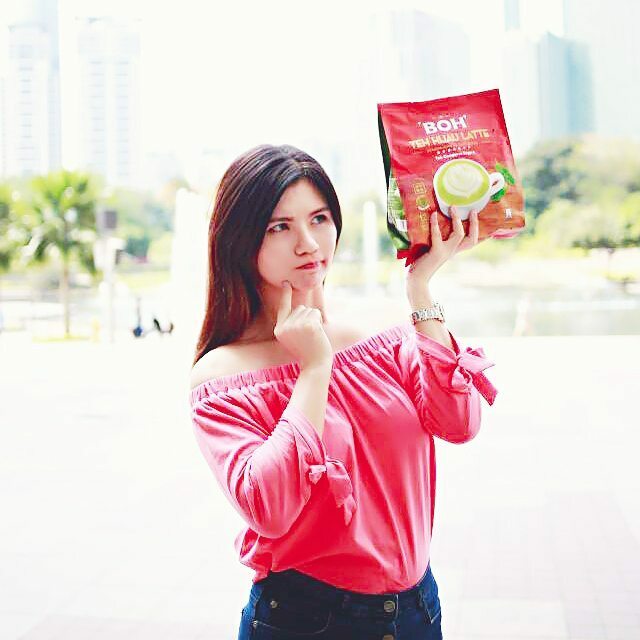 In fact, BOH Green Tea Latte taste so rich and great when consume on its own. 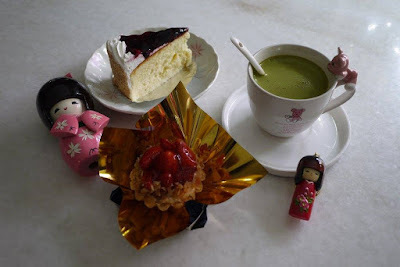 When I am in a rush, I would just make a glass of hot BOH Green Tea Latte and have some tarts and cakes for breakfast. What about you? Mind to tell me your BOH Green Tea Latte Breakfast Search story? Wow! 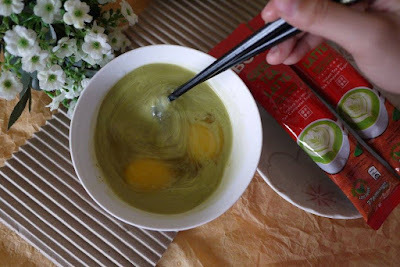 This look so creative with using green tea latte to cook the eggs! How was the taste? is the green tea flavor very strong? I love this green tea latte and we have it in our office pantry. so creative of you. Look like easy recipe to follow. Ah, thanks for sharing these recipes. I plan to try them out myself one day!! never thought of using a sachet like this to do other than drink! This is genius! why didn't i think of this! Awesome post! Looks delicious. Thanks for sharing the recipe!